I have been crazyyyy busy with school work, turning 19 (WHATTTT?! ), finals, meetings, picking out classes, starting to move out, formals, ambassador interviews, trying to make summer plans, sleeping (on occasion), and this weird thing called class. It’s crazy to think that I have just a little over a week left of my freshmen year. As much as I’m looking forward to a pretty relaxing summer at home, and an awesome internship, I am absolutely dreading saying goodbye to so many people. Can’t we all just stay here and hang out all summer?! So much as happened since the last time I posted, and it really hasn’t been that long. So here is my attempt to catch you all up! Before we left I gave him his cooler! 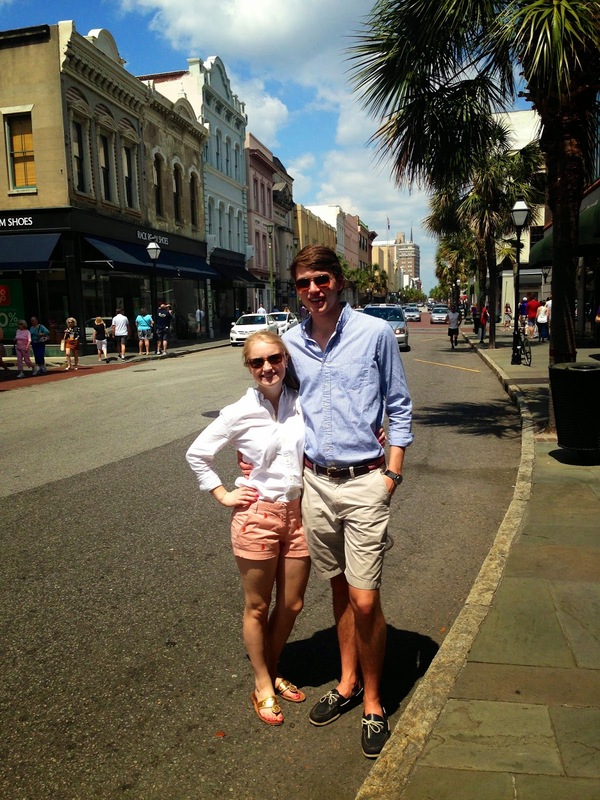 Exploring (shopping) on King Street! 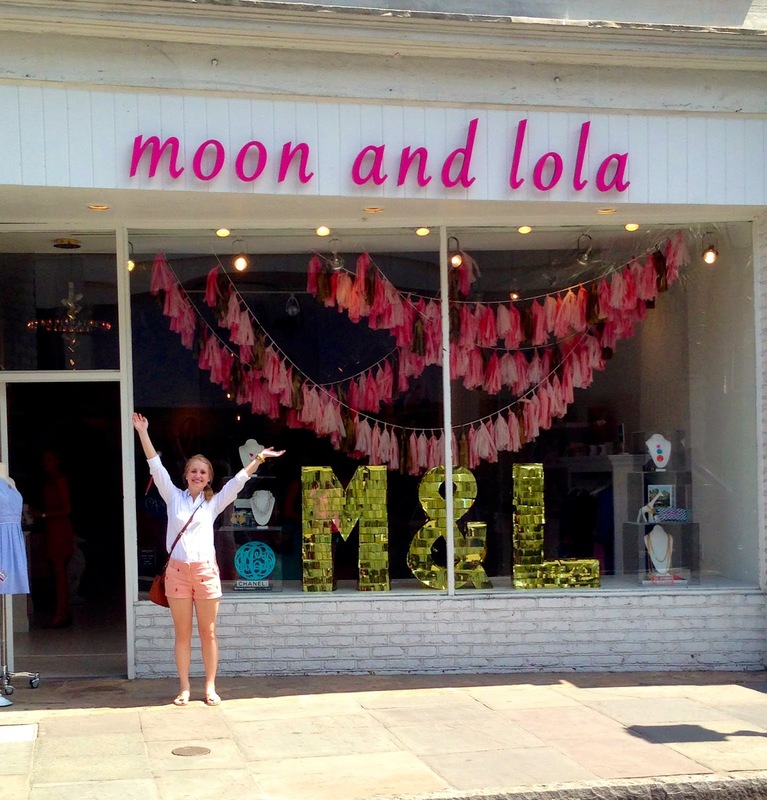 I found my way to the Moon & Lola shop on King Street! 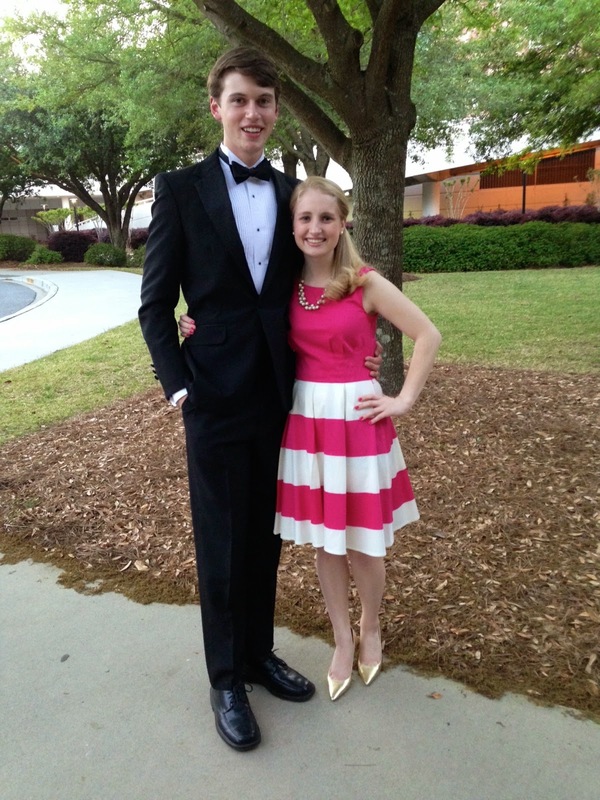 Later that night we got all dressed up and headed to the formal! We danced the night away to finish off the perfect weekend! 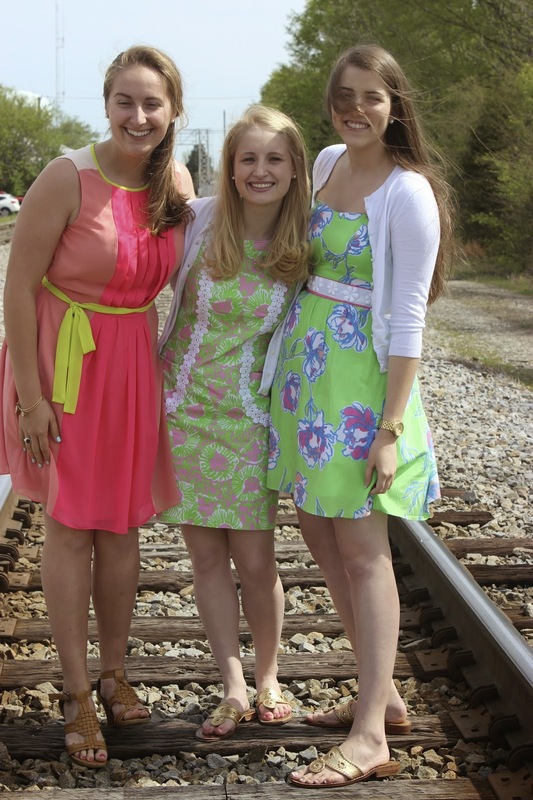 The following weekend I headed home with my roommate and good friend for Easter break! While at home we all went indoor skydiving (so.much.fun). After a nice break at home and multiple home- cooked meals and showers without shower shoes we headed back to Furman to finish off our last few weeks. We came back on Tuesday and on Wednesday it was my birthday (nonstop fun)! 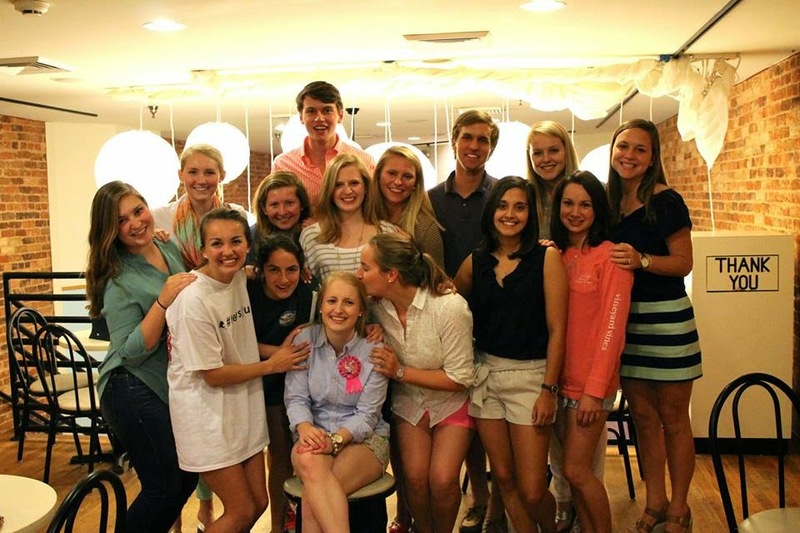 Huge shout out to all of my friends who made it so special! 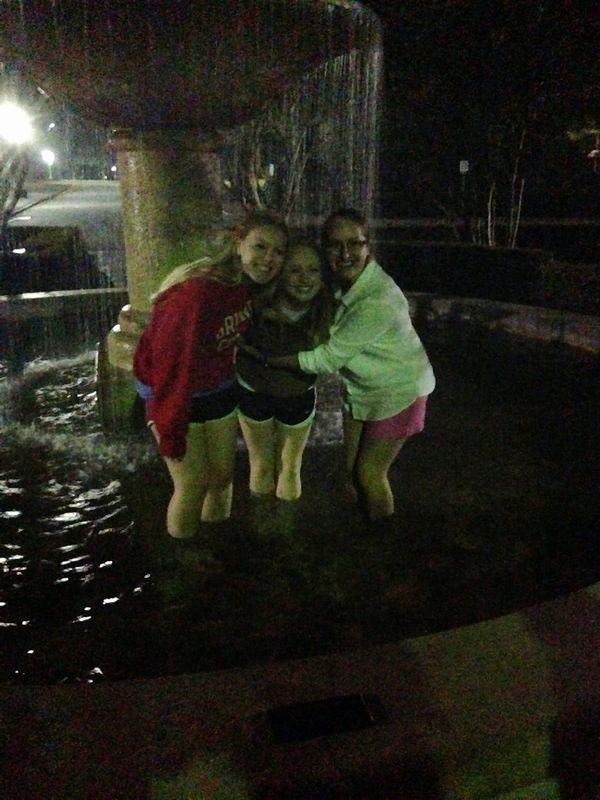 At Furman one of the traditions is to get thrown into the lake on your birthday. Luckily at midnight everyone who burst into my room was nice enough to dunk me into a (clean) fountain instead! 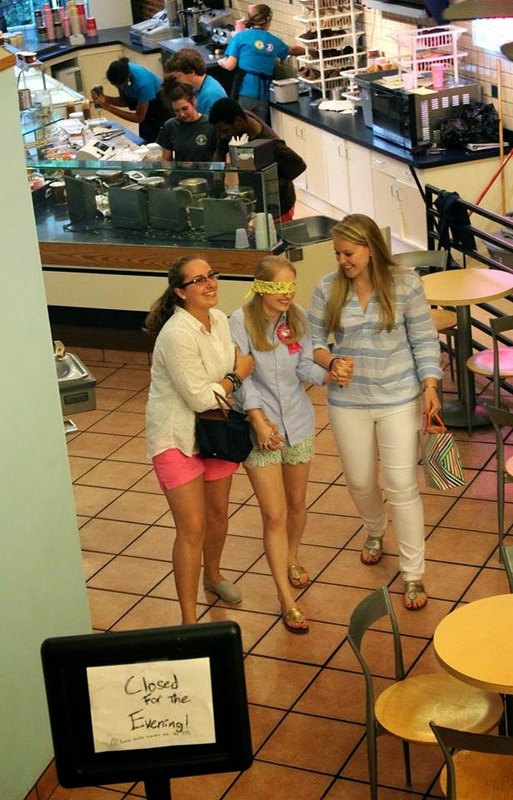 I was taken (blindfolded) to a local ice cream shop where tons of my friends were waiting for me and sang happy birthday to me! SO SWEET! So thankful for all of these people! I'm not sure how I'm going to go all summer without seeing them every day! 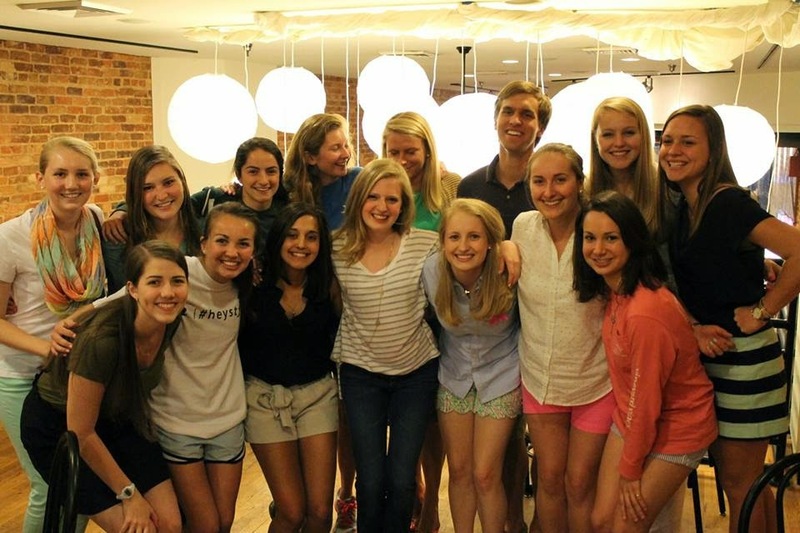 Some of the new ambassadors at the big reveal! So now that you know what I’ve been up to, let me warn you, finals are this week and next week, sooo posts will probably be sparse and short until SUMMER. Then you can expect regular posts, and some big things to come! Good luck to everyone else who is going through finals and moving out too! We can do it! 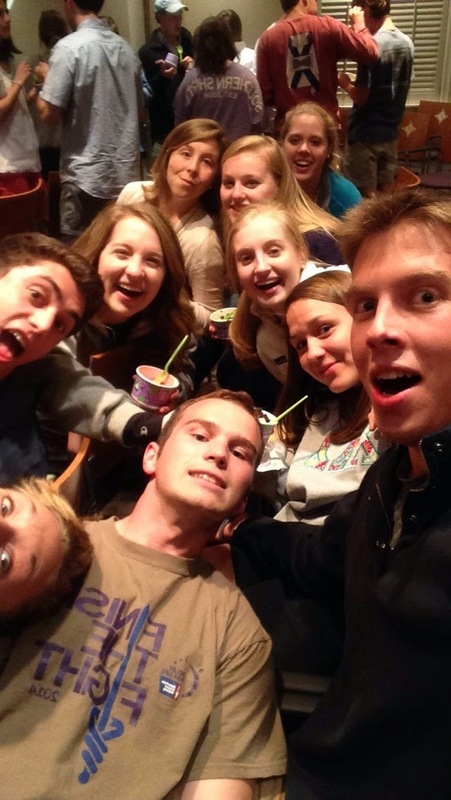 So bummed I had to miss the marble slab surprise, hooray for one more day of seminar! 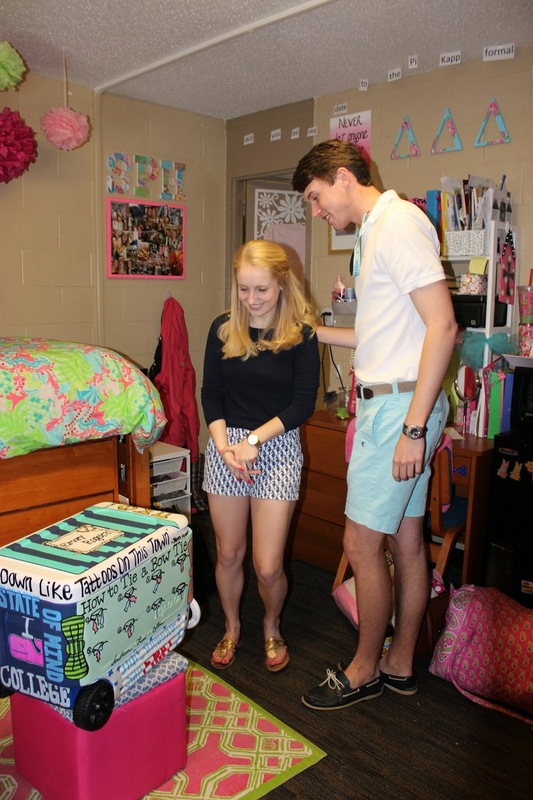 Looks like you've had a great ending to your first year of school! 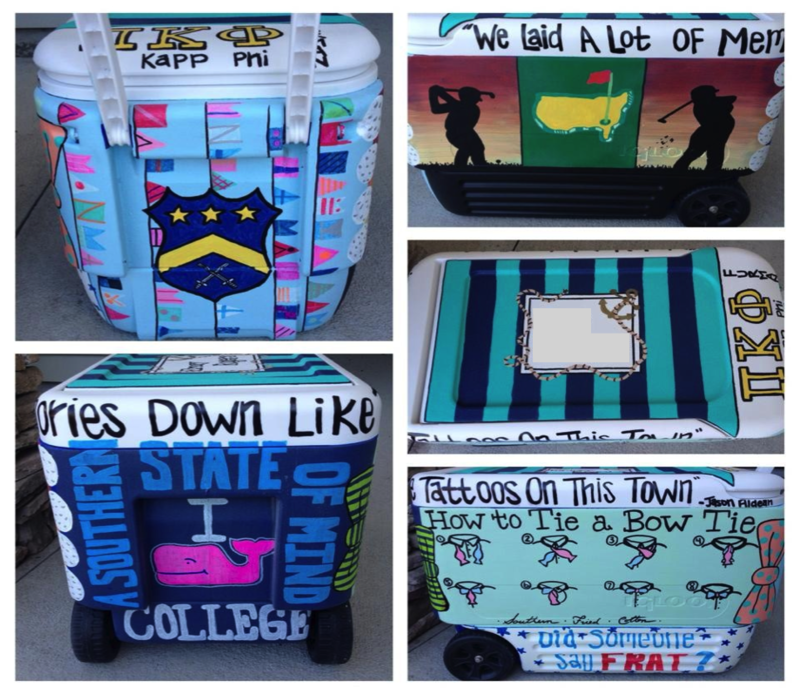 The cooler you painted looks amazing! You are seriously too cute! 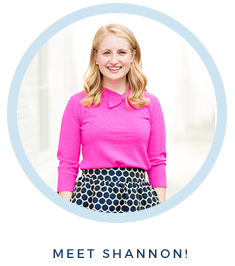 I think we need to do a custom illustration of you in that adorable pink striped dress for your dorm room next year! Ahhhh yes! That sounds amazing!! Glad to hear from you again, Shannon! Looks like you've been having fun! Can't wait to see more posts from you this summer. 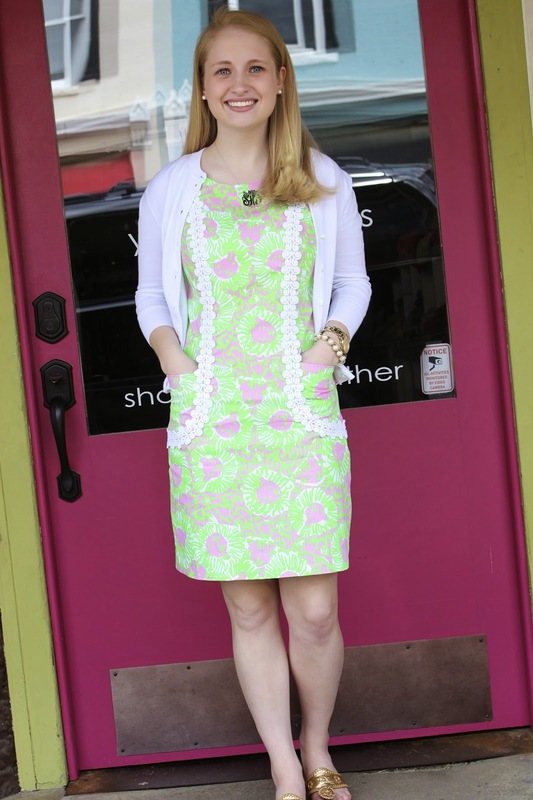 I love the cooler, and your dress, and practically everything! Especially your hair - so I must ask: is it naturally that shade of blonde? 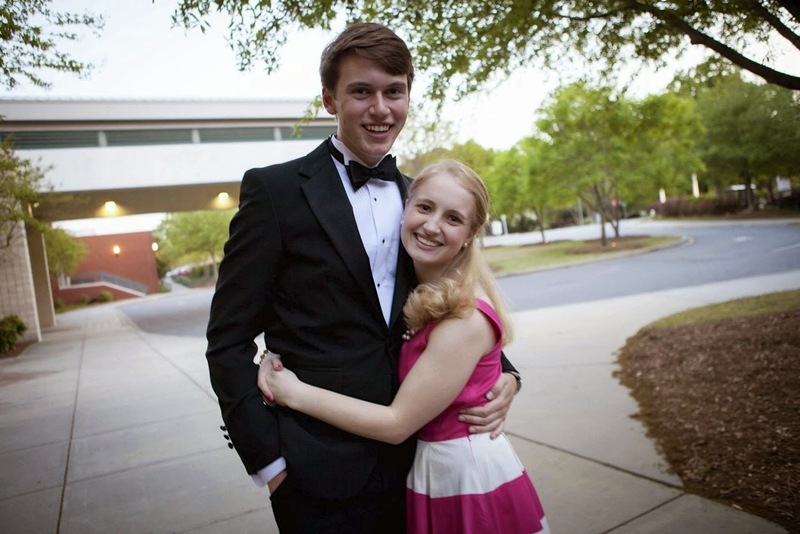 In each picture you look so well dressed and your hair looks amazing!